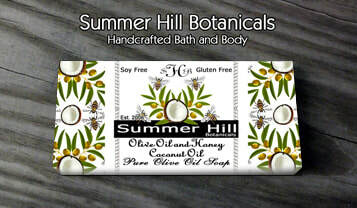 Unscented Natural Soap - Summer Hill Botanicals. Est. 2006. Custom Handcrafted Bath & Body and Natural Skin Care. 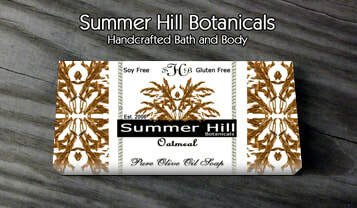 Our line of Unscented Natural Cleansing Bars for are created for customers who have allergies to present bath and body products on the market today. We use minimal ingredients so most anyone can use these products. Moisturizing and very gentle on the skin. What more could you ask for? Great for the young and the young at heart! Moisturizing your skin in hot, hazy weather as well as cold and dry weather. Full of antioxidants such as vitamins A, B6, B12, C, E and K. Plus, you get Omega 3 and Omega 6 fatty acids derived from a vegetable source. Once you try these bars and see how moisturized your skin is you will never go back to commercially made soap again. We make our bars in small batches and quality ingredients goes into each and everyone of them. Extra virgin olive oil combined with Honey and coconut oil make for a super moisturizing bar. Honey is a natural humectant that pulls moisture from the air. Coconut oil is also moisturizing and makes a harder bar of soap that is long lasting. Naturally scented. Using our base oils of Olive oil and coconut we grind Oatmeal to a powder and gently blend it into our rich base of oils. A moisturizing bar that also relieves your skin of the dry itch from winter or summer dry air.